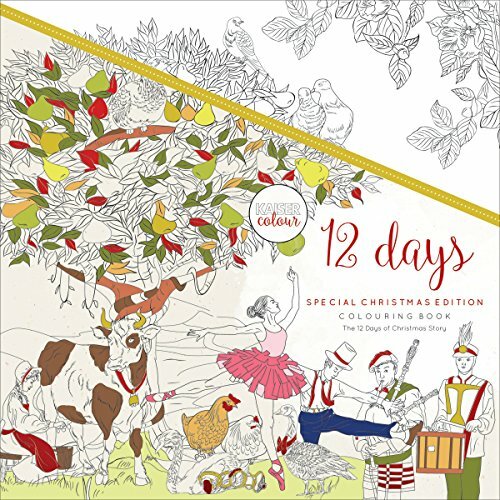 Kaiser craft-perfect bound coloring book: 12 days of Christmas. Experience a coloring book printed on high-quality extra-thick paper to eliminate bleed-through. Each page contains a unique and vibrant design for you to finish! this book contains forty Christmas themed designs. Softcover 40 pages. Published year: 2016. Isbn 978-1-925405-41-5.